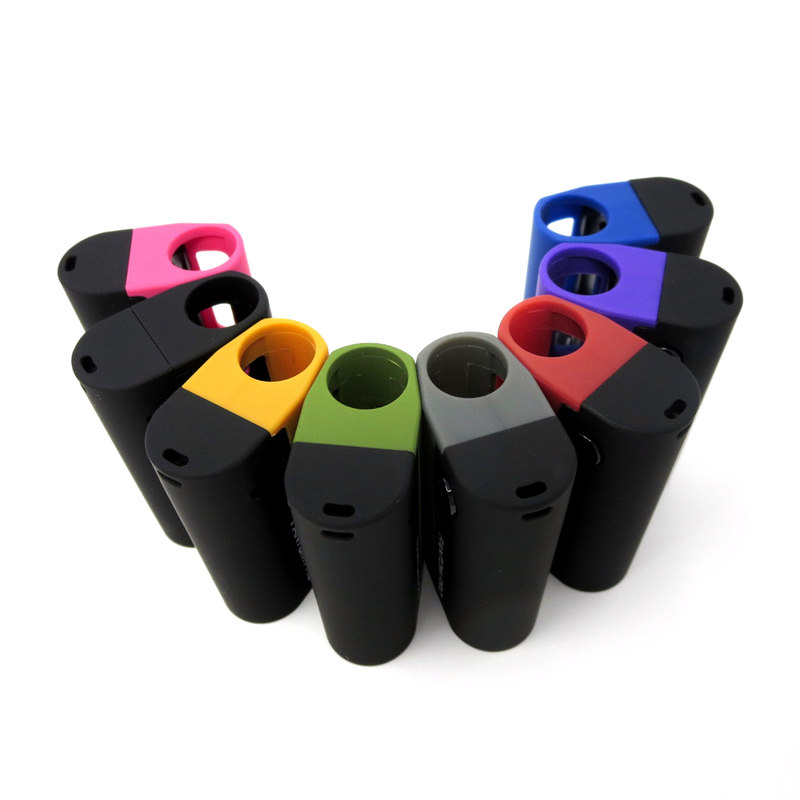 Versatile top rated micro-battery for oil cartridges. 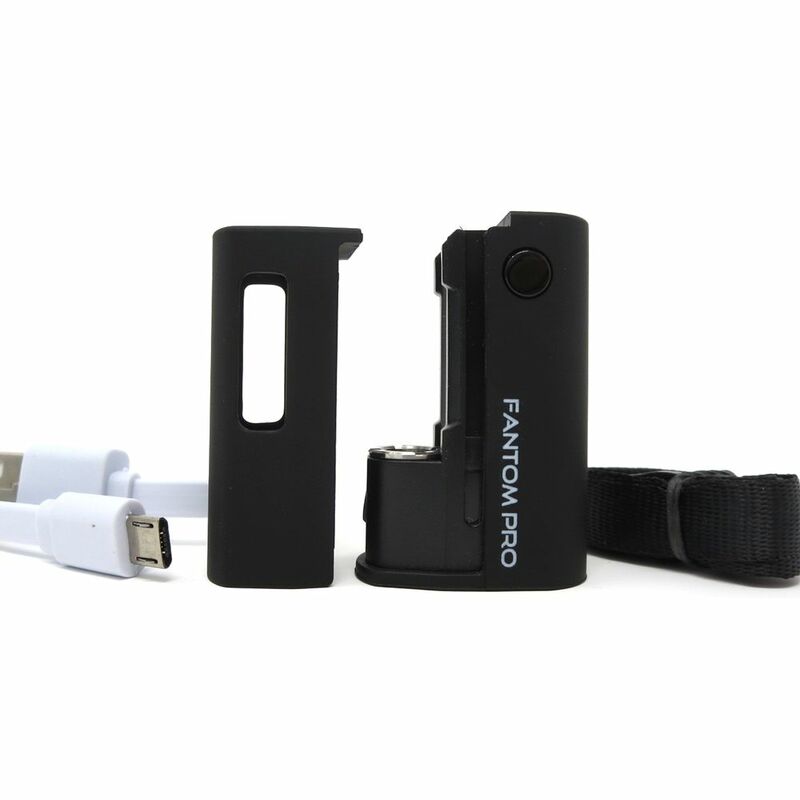 The eDab Fantom Pro Basic Set includes the device, charging cord, and lanyard. 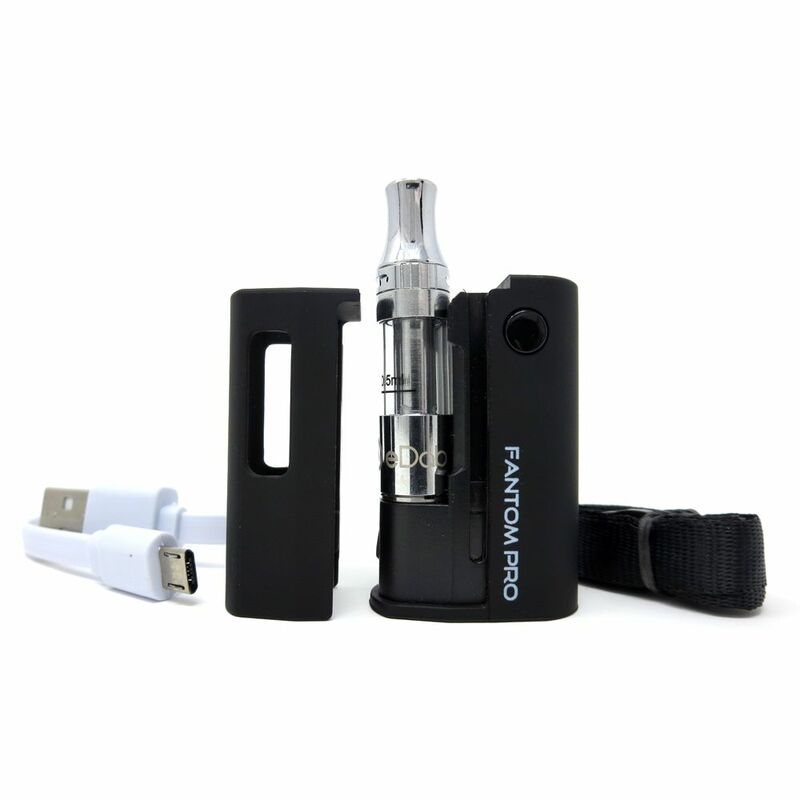 The Complete Kit comes with everything included in the Basic Set in addition to a reusable Fantom Easy Fill Cartridge. 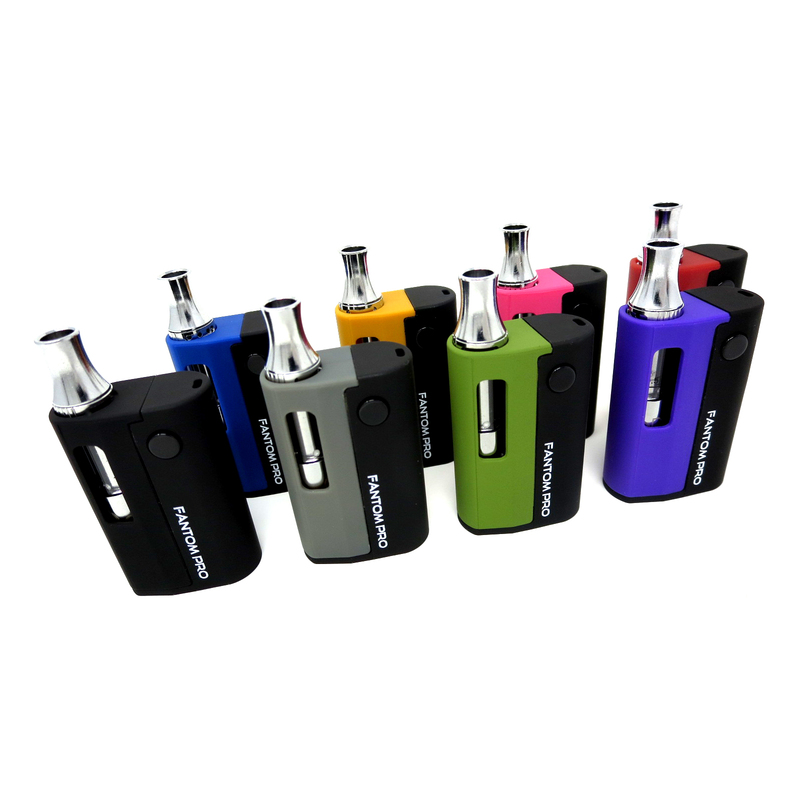 This versatile glass oil tank has a 0.5mL capacity, wickless ceramic element, and leak-proof, cup-style design. 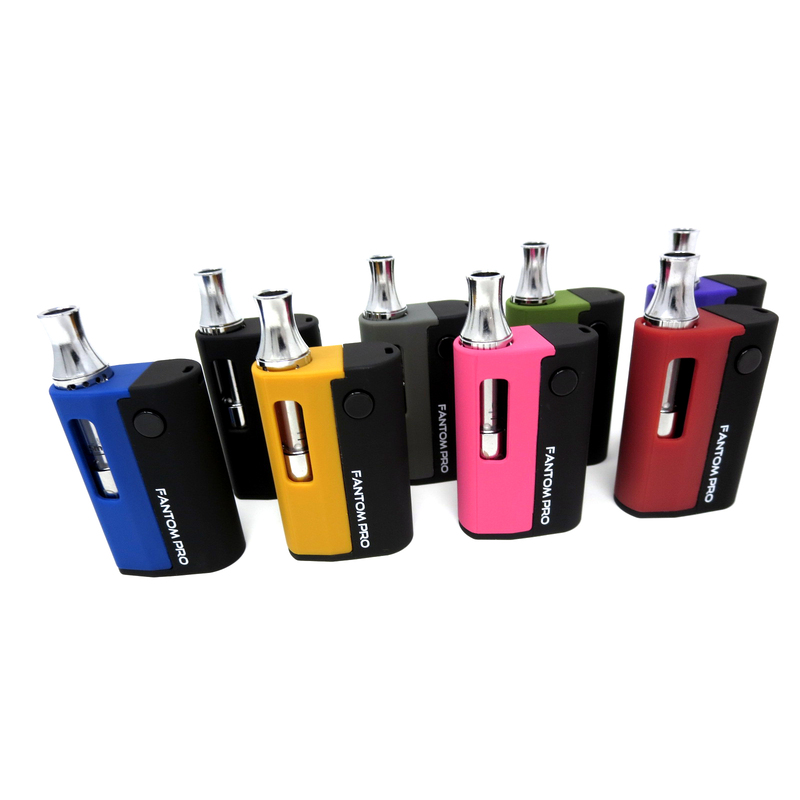 It features a removable center post for easy refilling and adjustable top airflow control, making it the perfect companion to the Pro. 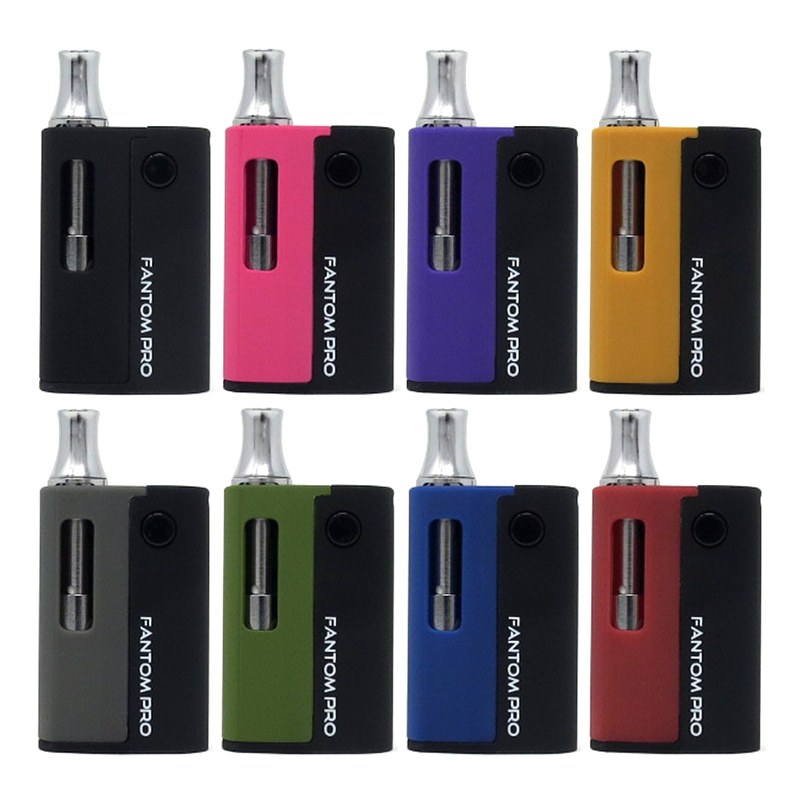 All these features result in thick, tasty vapor and a mess-free filling experience each and every time. eDab's Fantom Pro sports a premium fast charging lithium-ion battery under the hood. 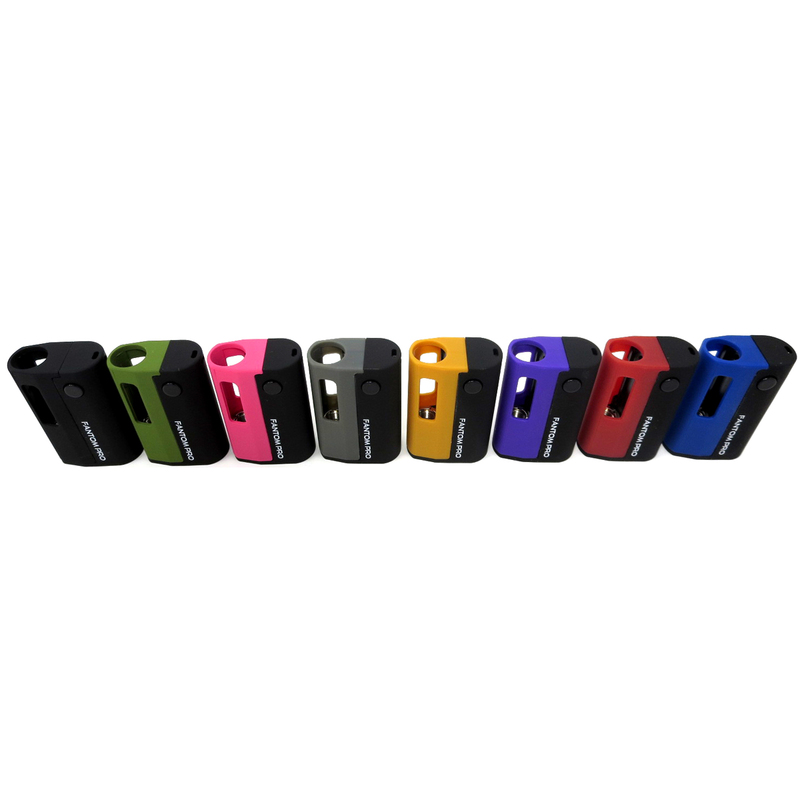 Its impressive 500mAh capacity will keep you up and running for an surprising amount of time. In fact, many users report getting several days of use in between recharging. When the times comes, the eDab Fantom Pro includes a high quality USB cable to make recharging a breeze. And if you just can't wait, this amazing little device has pass-thru functionality, allowing you to use it while it is plugged in and charging. 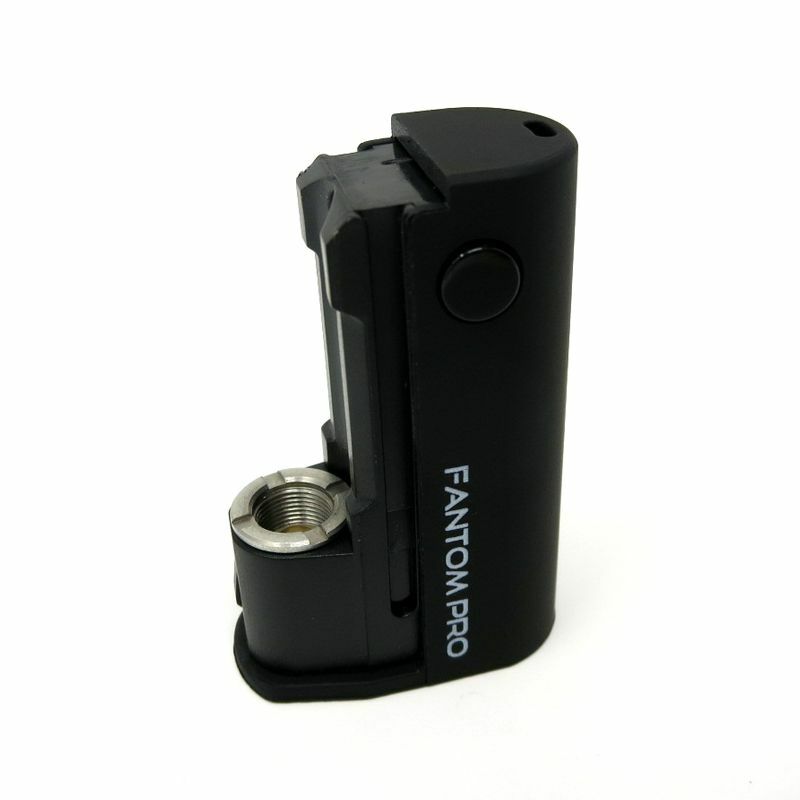 The Fantom Pro will have you covered as it is made to be compatible with just about any concentrate cartridge you want to throw at it. Its high-grade 510-threaded port is compatible with attachments measuring up to and including 11.2mm in diameter. 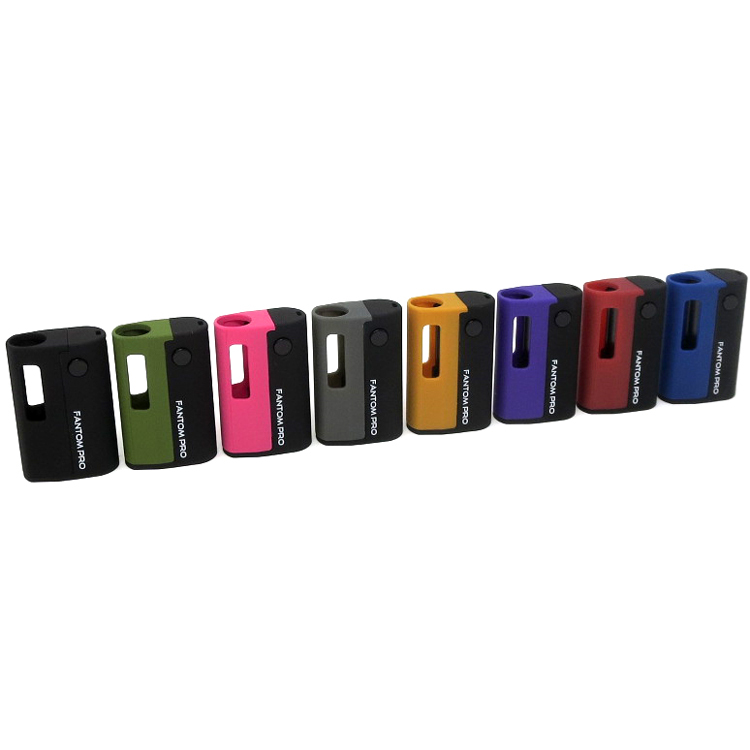 The eDab Fantom Pro comes complete with its trademark removable shell that lets you create your own color combination while giving you complete control over your level of privacy. 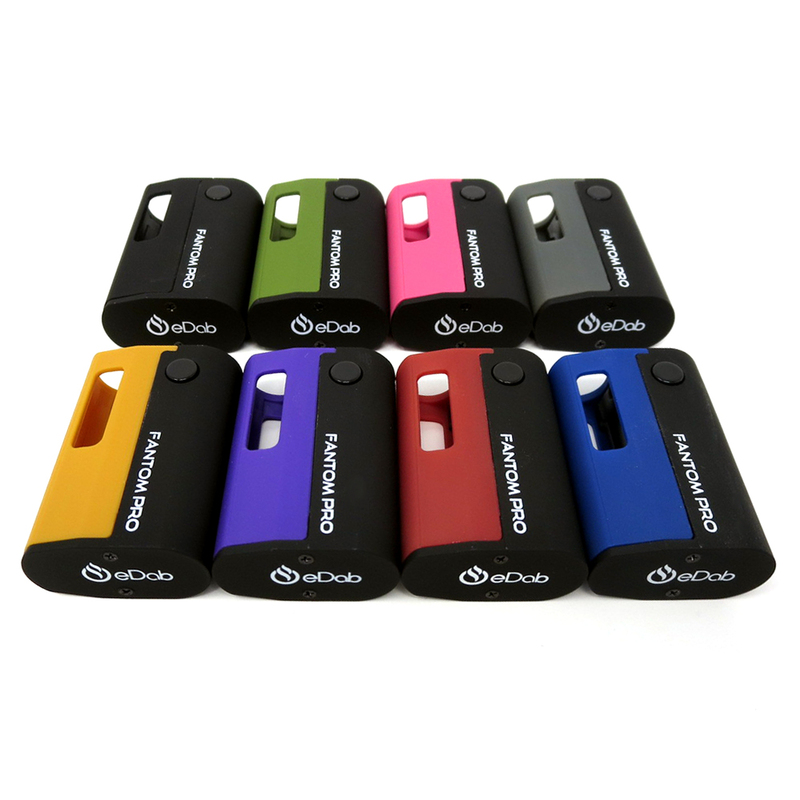 Swap the shell color to change things up or keep track of your different flavors, or just leave it off completely if privacy is of less concern. Either way, the choice is yours. 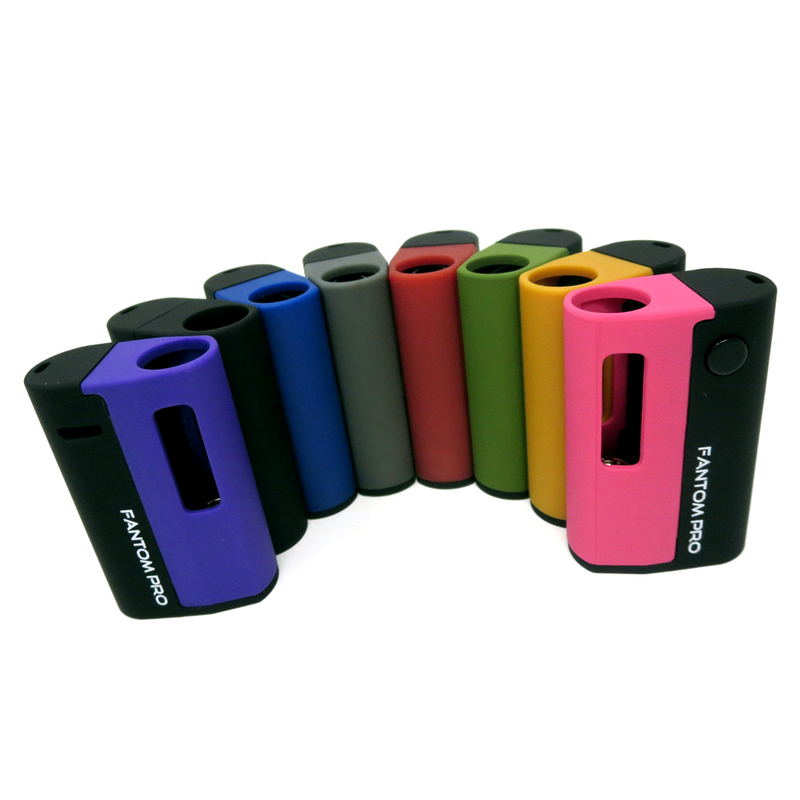 With such a wide variety of compatible attachments you'll need versatile power output to match. eDab equips the Fantom Pro with three preset temperature settings that will have you ready to handle an unmatched range of material/attachment types. The adjustable voltage presets are 3.4V (purple), 3.7V (blue), and 4.2V (red). Activate the optional pre-heat mode for up to 15 seconds to warm up your cartridge if necessary (you can deactivate the preheat mode at anytime once initiated). If all that wasn't enough, the eDab Fantom Pro's smart start feature will remember the power level last selected each time you turn it on, offering true "set and forget" use. 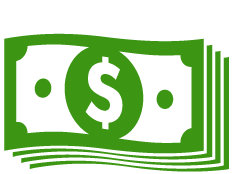 To make things easier, eDab has you covered with a 6 month warranty against manfucturer defects, and an included product guide to help you learn how to use the Fantom Pro and get started on the right foot. 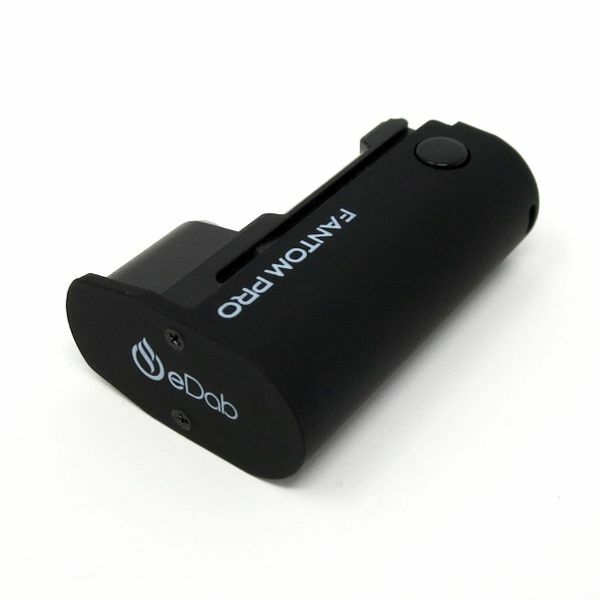 Grab the eDab Fantom Pro today and say goodbye to your drawer full of inadequate cartridge batteries! 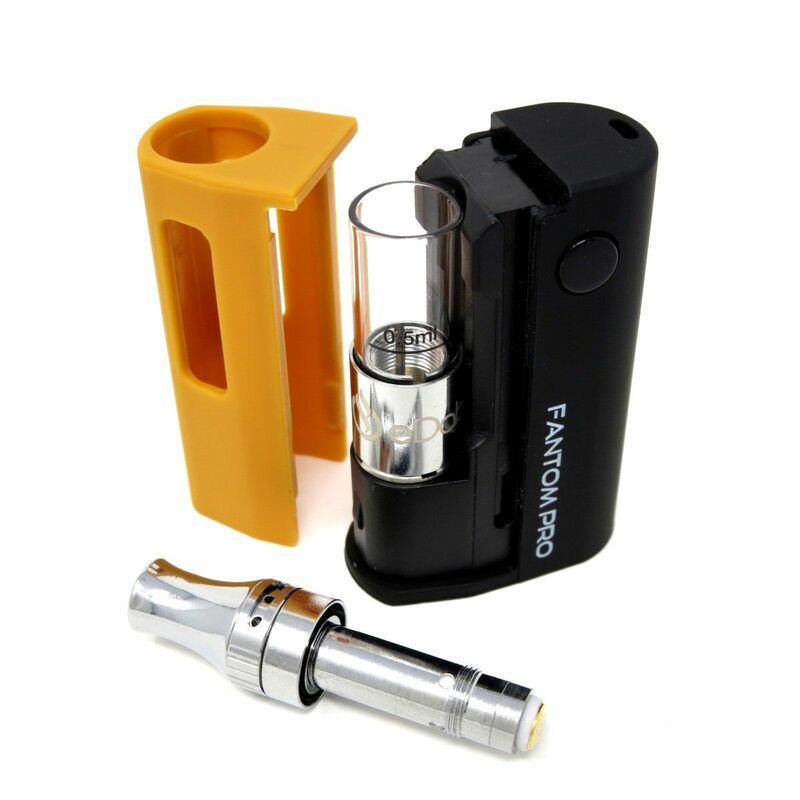 Please note eDab's Fantom Pro Basic Set includes everything listed below except the 0.5mL Fantom Easy Fill Wickless Ceramic Cartridge.